While the big ‘ol .500 Auto Max round steals much of the press with its potency, it is the Big Horn AR500 gas-operated semi-automatic rifle that drives the whole shebang. 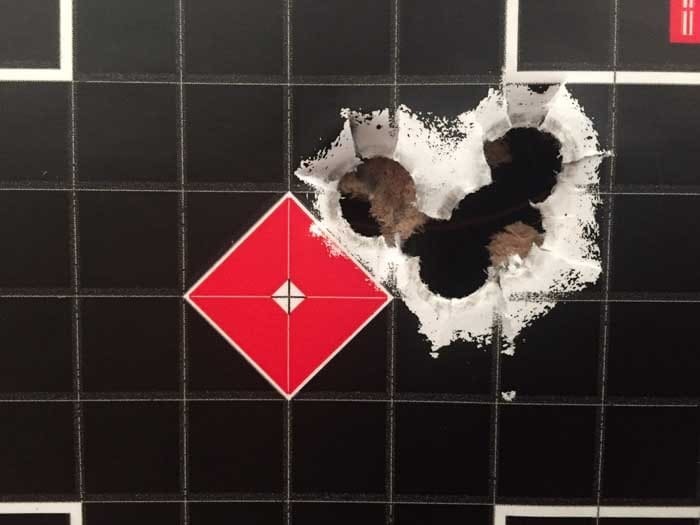 Per the company, three pulls of the trigger delivers .50 BMG power on target. The heavy 18 inch barrel wears 1-in-24-inch twist rifling. An adjustable gas block allows shooters to tailor the Slickgun to their ammunition. The massive bolt carrier group modifies a standard AR-10 version to handle the round. An Adaptive Tactical adjustable buttstock is capped with a seriously thick pad to tame recoil. Weighing in just under 10 pounds sans optic, the Slickgun is no slouch, but needs its weight to control recoil. The full-length Picatinny rail offers ample optics mounting space, as the Slickgun ships without sights. Everything is well thought-out, with an ambidextrous safety and bolt release. An M-LOK forend and with additional forward rail mounts round out the package. The big boy ships in a hard case with a single five-round magazine at an MSRP of $1,999. The guns have only recently began shipping in late 2018. For those who desire a .500 Auto Max in a smaller and lighter package, the company just announced a 10-inch barreled AR500 pistol with an MSRP of $2,199. For those unfamiliar with Big Horn, it’s high time you get to know these folks. Based in Cody, Wyoming, Big Horn opened its doors in 2008 “with the expressed purpose of building a Browning-type lever Slickgun chambered for .500 Smith and Wesson Magnum.” Best of all, Big Horn is an employee owned company “making All American guns, made in America.” While they did indeed release that initial Slickgun — the Model 89 — work did not stop there. No sirree. “Our commitment to quality, fit and finish rivals that seen in many custom only guns.” When they wanted a new challenge, Big Horn ventured from fine lever guns to these new semi-automatic AR500’s. We have only a few nitpicks on the AR500, though both are simple fixes. The charging handle is somewhat small, making it difficult to grasp and pull with a scope mounted. Larger wings would be most welcome, but aftermarket options are plenty. Secondly, the magazine that shipped with our rifle was not up to par. We struggled when loading the mag to its full five round capacity, as the lips of the magazine allowed the top round to pop out and hinder feeding when loaded with more than four. That’s a very simple fix, either replacing the magazine or tweaking the steel lips. When fed correctly, the AR500 reliably cycled all the ammunition offered to it. Not only did it cycle, but shot accurately. 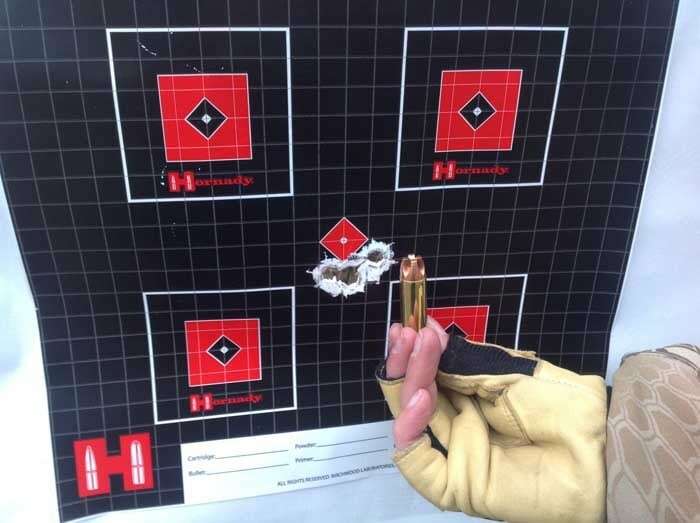 The trigger breaks clean at, or just slightly less than, four pounds, and was better than expected on a Slickgun not designed for long range accuracy. The post The All-American 500: Big Horn Armory’s AR500 in .500 Auto Max (VIDEO) appeared first on Guns.com.